Jimmy Fortune Induction into Virginia Music Hall of Fame – Legendary county musician Jimmy Fortune is set to receive a new honor this spring. Fortune’s list of previous accolades includes inductions into the Country Music Hall of Fame and the Gospel Music Hall of Fame, in recognition of his long career with The Statler Brothers. On Saturday, March 24, 2018, Jimmy Fortune will be inducted into the Virginia Music Hall of Fame. The ceremony will take place at Nelson County High School and coincides with the benefit concert to raise money for the school’s band program. The Lovingston, VA high school is also Fortune’s alma mater. In conjunction with Fortune’s induction into the Virginia Music Hall of Fame, the musician will also display career memorabilia at the Virginia Musical Museum. Founded by Virginia Music Hall of Fame administrators Buddy and Peggy Parker, the Williamsburg museum exhibits a large collection of career pieces, costumes and personal items from notable musical artists who originated from Virginia. Fortune’s introduction to the Parkers occurred following a radio interview with Williamsburg’s WMBG Radio, hosted by Robert Hodge. Jimmy was born in Williamsburg, VA and moved to Nelson County as an infant. Jimmy Fortune will appear at Nelson County High School on March 24, 2018 at 7 p.m.
Jimmy will be a guest on the 2019 Time/Life Country Music Cruise from January 27th through February 3rd. Leaving from Ft. Lauderdale the ports include Key West, St. Thomas and Half Moon Cay. Other artis performing are Jeff Foxworthy, The Oak Ridge Boys, Patty Loveless, Ronnie Milsap, Ricky Skaggs, Joe Diffie and many more. Nashville, Tenn. (March 16, 2017) – Jimmy Fortune, a Country Music Hall of Fame inductee and member of the legendary Statler Brothers, has just completed an all-new recording, Jimmy Fortune: Sings the Classics. The album, which will be available April 21, features collaborations with longtime friends Ricky Skaggs, The Isaacs and the Voices of Lee. The Gaither Music Group project will be released via Gaither Records and available at music retailers everywhere, along with Cracker Barrel Old Country Store® locations nationwide. Fans can also pre-order the album HERE. 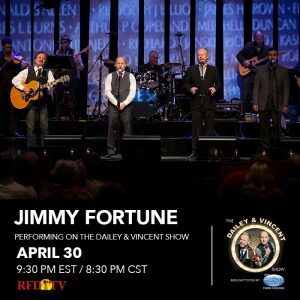 Jimmy Fortune: Sings the Classics will be featured as part of a special television offer on DISH TV, DIRECTV, Gaither Television Network, TBN, RFD, FamilyNet, CTN, GMC, GMTN, Guardian, Liberty, TCT and TLN. It will air in Canada on Vision TV, CTS, The Miracle Channel, CTS and Hope TV. Jimmy will be on a new episode of Dailey & Vincent on 4-30-16. Country Music Cruise 2017 with Vince Gill, Oak Ridge Boys, Charlie Pride and more! Jimmy will be a part of the 2017 Country Music Cruise!! 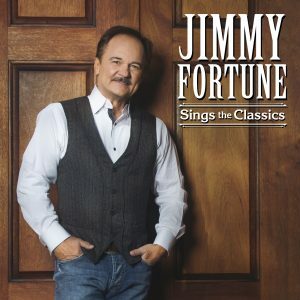 When booking please tell them you are a fan of Jimmy’s and you will get a Jimmy Fortune T-shirt. You can also give them the code FORTUNE. Come cruise the Caribbean with country music’s greatest entertainers on a 7-Day Nonstop party aboard the luxurious Holland America m/s Oosterdam. Enjoy a star-studded vacation with unparalleled access to legendary stars from Country Music. See them during the nightly performances, enjoy celebrity-led activities, attend meet and greets and run into your favorites all week long during meals, pool side relaxing and more. We set sail on January 27, 2017 from Tampa, FL. Ports include Key West, FL, Cozumel Mexico, and Costa Maya Mexico.